More excellent Z'EV stuff, this time re-elaborating field recordings by our beloved Frans de Waard (Beequeen, Kapotte Muziek, Shifts, Freiband, etc.). As with the collaboration with López, the keywords here are density and complexity - it's a 6-track, 40-minute work but, as somebody has noticed before, it seems to last much longer (in a positive sense). I wonder if Z'EV has exclusively used de Waard's recordings or has added sounds of his own (my bet), for example in the fourth track, where the deep resonating drone and metallic scrapings seem typically his. But don't think this is a predictable release in any way: Z'EV surely knows how to blend different bits & pieces in organic and unique concrete music pieces. 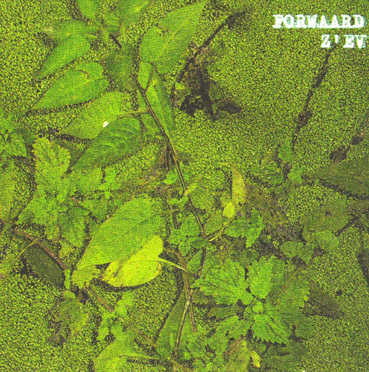 The whole "Forwaard" has a kind of meditative vibe, despite the noisy nature of many input sources; listen for example to the cyclic drones of the first track, or the dripping water and slow swirls of the following one. Ritual music without any fake-ethnic naiveté. Limited to a mere 300 copies, so get it now or cry later.